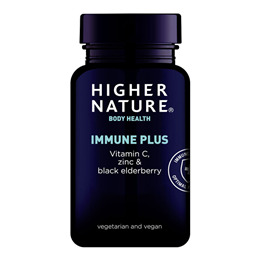 Take up to 6 tablets a day for a powerful antioxidant boost that may help protect you from nasty coughs and colds, as well as oxidative stress. For optimal results, an effective multivitamins is also recommended alongside consumption of this product. CONTAINS NO added sugar, starch, soya, salt, wheat, gluten, yeast, lactose, dairy products, artificial preservatives, colours or flavourings. Vitamin C (as ascorbic acid), bulking agent: microcrystalline cellulose, black elderberry std. ext (2% total flavonoids), blackcurrant fruit 4:1 std. ext. (min. 2% anthocyandins), bilberry std. ext (2% anthocyanidins), coating: hydroxypropyl methylcellulose (glycerine); anti-caking agent: vegetarian magnesium stearate; zinc citrate, anti-caking agent: silicon dioxide. std. ext. - Standardised Extract. 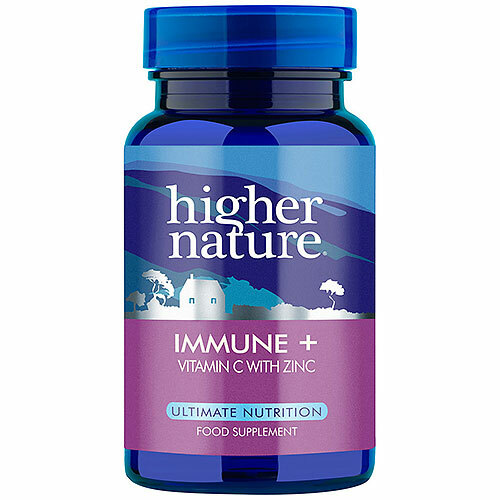 Below are reviews of Immune + - Vitamin C with Zinc - 180 Tablets by bodykind customers. If you have tried this product we'd love to hear what you think so please leave a review.